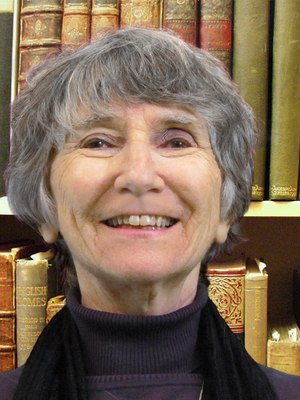 Carole Fink, a scholar of International History, Modern European History, and Historiography, joined The Ohio State University faculty in 1991, received the university's Distinguished Scholar Award in 2007, and retired as Humanities Distinguished Professor History Emerita in 2011. Professor Fink’s recent publications include West Germany and Israel: Foreign Relations, Domestic Politics, and the Cold War, 1965-1974 (2019); Cold War: An International History (2014, 2nd ed. 2017) and Writing 20th Century International History: Explorations and Examples (2017). She is also the author of Defending the Rights of Others: The Great Powers, the Jews, and International Minority Protection, 1878-1938 (2004) and The Genoa Conference: European Diplomacy 1921-1922 (1984, new ed. 1993), both of which were awarded the George Louis Beer Prize of the American Historical Association for the best work that year in European International History, as well as of Marc Bloch: A Life in History (1989), the first biography of France’s soldier-patriot-historian, which has been translated into six languages. Carole Fink has published more than fifty articles and essays, and co-edited seven books on German Ostpolitik, 1969-1974: The European and Global Response (2009); 1956: European and Global Perspectives (2006); Human Rights in Europe Since 1945 (2003); 1968: The World Transformed (1998); The Establishment of Frontiers in Europe after the Two World Wars (1996); European Reconstruction in 1921-1922 (1991); and German Nationalism (1985). She has translated and written the introduction to Marc Bloch’s Memoirs of War, 1914-15 (1980, new ed. 1988) and been a section editor of the AHA Guide to Historical Literature (1995) and of the joint US-Russian publication, Peace/Mir: An Anthology of Historical Perspectives on War (1994). Since retiring from OSU, Professor Fink has been a guest professor at Sydney University, the University of Jena, the University of Haifa, and Qingdao University, and earlier she taught at the Hebrew University of Jerusalem. She has received senior Fulbright Research Fellowships to Australia and to Israel; research fellowships from the German Marshall Fund of the United States, the National Endowment for the Humanities, the American Council of Learned Societies, the American Association of University Women, and the American Philosophical Society; and residential fellowships from the US Holocaust Memorial Museum, the Institute for Advanced Studies in Princeton, the Woodrow Wilson International Center for Scholars, and the Rutgers Center for Historical Analysis. Carole Fink received her B.A. degree from Bard College and her M.A. and Ph.D. degrees from Yale Univeristy, and was a former faculty member at the University of North Carolina at Wilmington, the State University of New York at Binghampton, Canisius College, Albertus Magnus College, and Connecticut College.